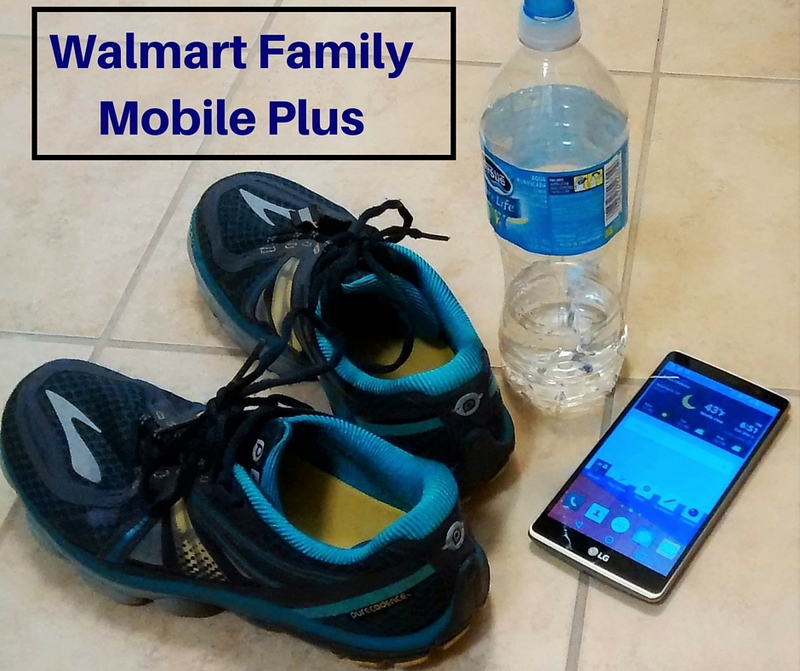 Get 10GB of Data with Walmart Family Mobile Plus! I should probably be embarrassed by how attached I am to my phone. (I probably have some family members who’d be happy to corroborate.) But the truth is, having a smart phone makes my life easier – which also makes it happier. And so for that, I’m unapologetic. I went for a walk on the beach the other morning. While I was walking, I thought about writing this post, and I made a list in my head of all the ways that my smart phone helps make life better. And then it occurred to me that all of those things were actually happening at that very moment. Here’s what I mean. 1. I use my phone to communicate. Because I had my phone in my bag, the school would be able to call me if one of my kids was sick. My mom could text me with an update about a relative who’s in the hospital. My husband could send me an email about an errand I needed to take care of ASAP. 2. I use my phone to work. In fact, my phone is really my blog hub. I can (and do) manage just about everything I need to keep my blog & social media running smoothly on my phone. And while I try to avoid work during my walks, it’s still right there if I need it. See a photo op that would be perfect for Instagram? Snap it with my camera and share it.. Need to double check a deadline? Take a quick look at my calendar. Come up with an idea for a new blog post? Jot it down in my notes app. Need to post, pin, tweet, share, or like something? It’s all right there at my fingertips. Literally. 3. I use my phone for running (and walking). I don’t always have my Garmin, but I do always have my phone. I can use an app + GPS to track my route, mileage, and pace. I can listen to music, an audiobook, or a podcast on my phone. And I have it right there in case of emergency, which makes me feel a lot safer when I’m walking on a pretty quiet stretch of beach. 4. 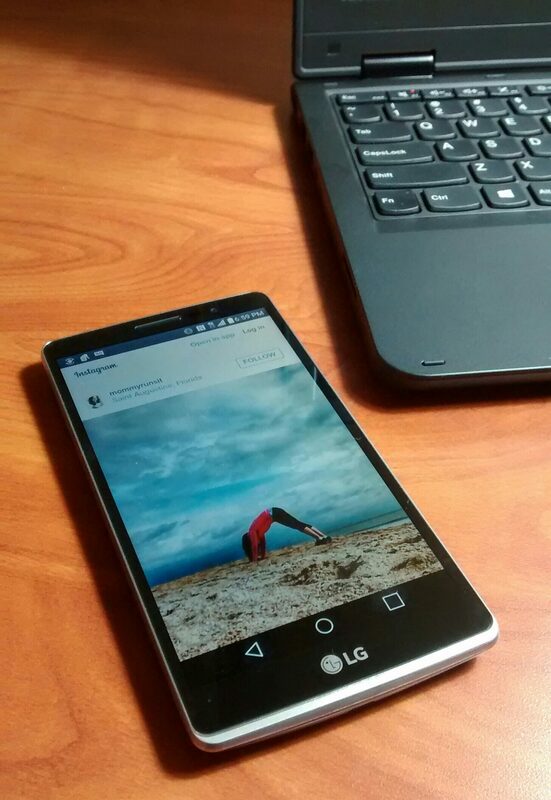 I use my phone for yoga. And not just to take pictures of myself in pretty poses on the beach and to post them on social media. I also use pictures and videos and Instagram yoga challenges to track my progress and to communicate with my online yoga community. Now, the problem with all of this, as you can imagine, is that I burn through my current plan’s 2GB of data in way less than 30 days. I use about half a GB per month on Instagram alone. And that’s the main reason I said yes to trying out the Walmart Family Mobile PLUS plan. This is a new plan that features Unlimited Talk, Text, & Data, with up to 10GB of 4G LTE data. 10GB is a lot, you guys. And the plan is only $49.88 (per line) a month. That’s 5 x the data I get now for LESS money than my current plan. It seems like there should be a catch, but there isn’t. This plan also offers a pretty cool bonus feature – you get one free movie (a new release, valued at $7) on VUDU each month. This is perfect for us, since we’re a no-cable, Roku family, and we already stream all our movies anyway. So signing up for Walmart Family Mobile Plus was easy. 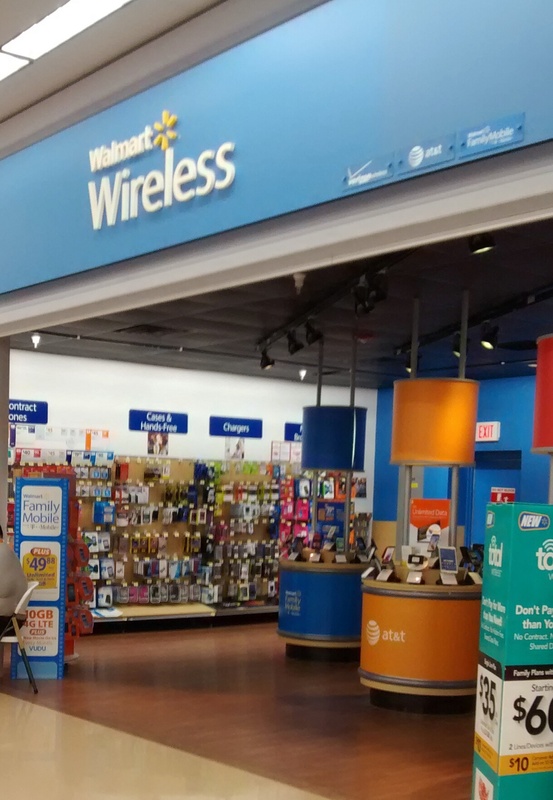 My Walmart has a regular electronics section with all of their mobile devices and packages, but they also have a dedicated Wireless Center. The man who worked in the Wireless Center was super helpful and very patient with my long list of questions. First, I selected a phone from the four models that were available. They were all pretty nice – not cheapo burner phones, but real smart phones with all the features you’d expect. After a bit of online research, I went with the LG G Stylo for $179.00. It’s got a large screen (5.7″), and I was a little worried that it would be too large for making phone calls, but then I told my husband and we laughed & laughed because I don’t use my phone for that. The real selling point for me was the camera – it has a 13 MP Laser Auto Focus Rear Camera (nice) and a 5 MP Front Camera to keep my selfie game strong. I also purchased a Starter Kit for $25.00. Then it was just a matter of setting up the phone and the service, which the Wireless Center employee did for me. It took less than 15 minutes from start to finish, and then I was on my way – brand new phone in hand, and 10GB of data to use to my heart’s content. So far, so good. The cell service in my area is good, the data is fast, and the phone has all the bells and whistles. And best of all, no more worrying about hitting my data cap mid-cycle. I can use my phone for connecting, blogging, entertainment, and fitness without having to monitor or limit my use. What a relief. With tax refund time around the corner, you might be thinking about upgrading your smart phone and/or your mobile service. 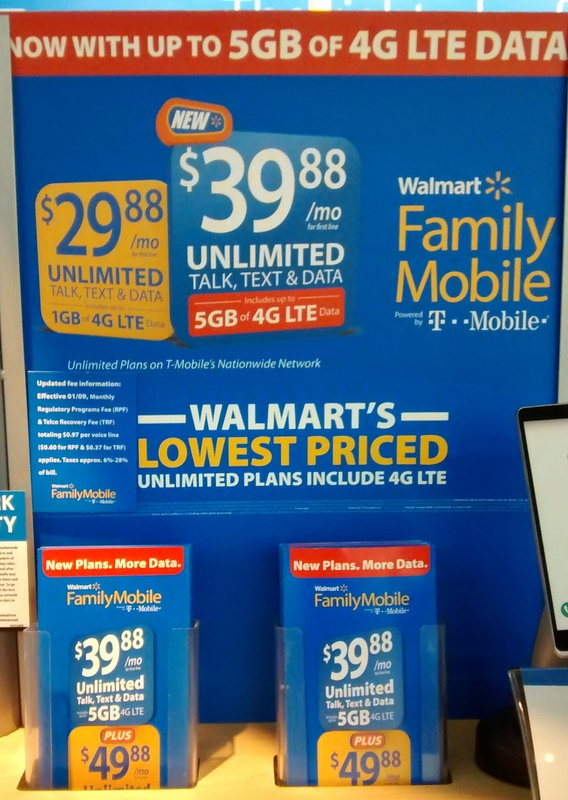 If you’re in the market for a new wireless plan, I’d definitely suggest checking out Walmart Family Mobile Plus. It’s a monthly plan, so you don’t have to sign a contract or worry about cancellation penalties. So tell me, what would you do with 10GB of data every month? Any other Instagram junkies out there?